5 Finger Metal Mesh Glove is made from high quality stainless metal mesh 304 L or 316 L offers the highest level of cut resistance and provides the highest level of protection against cut, slash and laceration hazards in cutting operations such as food processing, meat butchery or seafood process and glass or leather processing such risky industries. 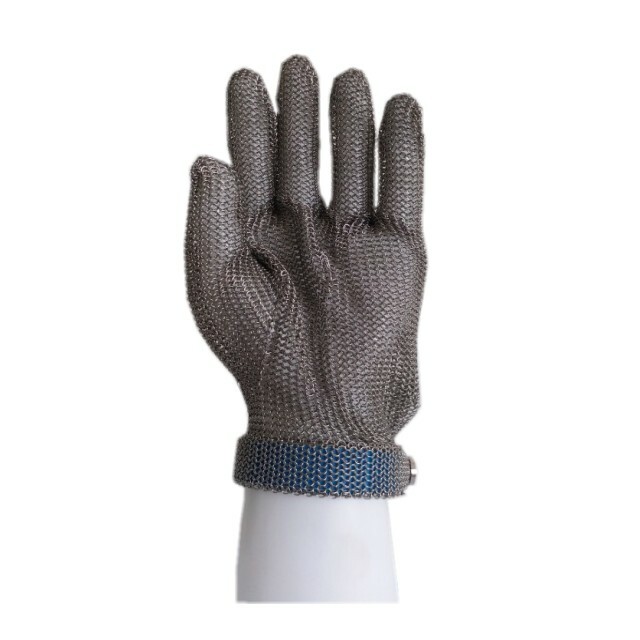 5 Finger Metal Mesh Glove was Manufactured with high tensile strength, corrosion resistant stainless steel rings and adjustable plastic soft strap, can offer comfortable feeling even after long time wearing. For 5 Finger Metal Mesh Glove with Plastic Strap, normally 1 piece glove will accompany with 1 piece tighter.